Wash hair thoroughly using a clarifying shampoo. Massage toner through towel dried hair evenly from root to tip. Pile hair on top of head and cover with a plastic hood. Apply heat with a hair dryer for 5 minutes. Allow the toner to develop for maximum time of 30 minutes or the time indicated by the strand test. Very dry hair could process in 10-15 minutes. Rinse thoroughly until water runs clear ensuring that the scalp and surrounding skin area is colour free. Using cotton wool, apply a few drops to a patch of skin (size of a 5p piece) on the inside of the elbow or behind the ear. Allow the test to dry, leave uncovered and undisturbed for 48 hours. If during or immediately after 48 hours, burning, swelling, redness or irritation shows on or around the area, you are allergic to the product, do not use. Shampoo hair with clarifying shampoo and towel dry. Apply a little toner to a full strand of blonde or pre-lightened hair and wrap in cling film. Apply heat for 5 minutes with a hair dryer. Allow the toner to process for 10 minutes and wipe with some tissue to check development. 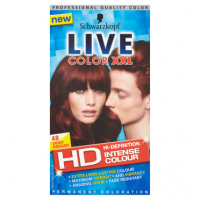 If the desired colour has not been reached then reapply and check frequently for up to 30 minutes until the colour is as desired. Make a note of the total time taken and use it as a guide for full head application. 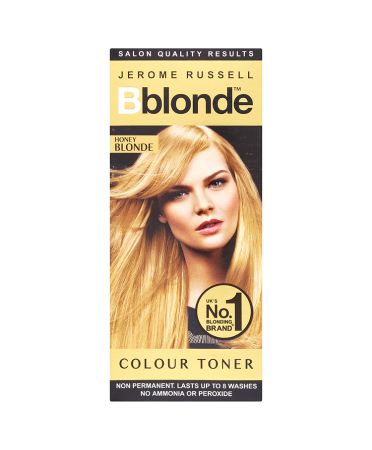 If the strand test shows deeper colour on the hair ends, do not apply Jerome Russell Bblonde Colour Toner to this portion of the hair until 10 minutes before the full development time. 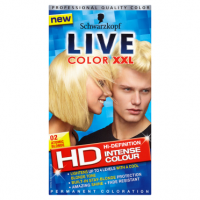 Refreshes and improves shade and condition of blonde hair whilst neutralising yellow and brassy tones. Honey blonde adds subtle golden blonde shades that last up to 8 washes. 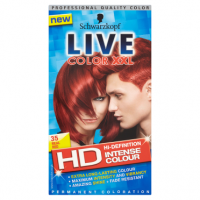 Works best when used to refresh and re-tone in between use of Jerome Russell Bblonde Highlighting Kits, Blonding Kits, Powder Bleach and Peroxide. 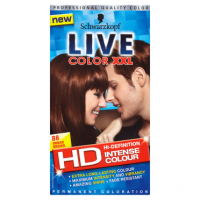 For use on pre-lightened and naturally blonde hair. Read instructions thoroughly before use. Avoid contact with skin and eyes. If the product gets into eyes, rinse immediately with clean water. If irritation persists, seek medical advice. For external use on scalp hair only. Do not use on eyelashes or eyebrows. Do not use if the scalp or adjacent areas show signs of soreness or other problems.